When involved with a Virgo, Gemini will soon realize that they are restricted and have to be responsible. The signs Virgo and Gemini are ruled by the same planet, Mercury, which makes this relationship an unusual one. 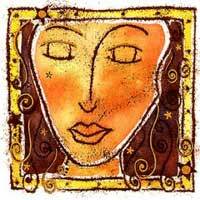 Virgo influences everything that has to do with home atmosphere, stability and properties. This native tends to correct and slow Gemini down- that is a good thing to do but only when it's constructive. Gemini natives' secret is that they have to get attached to a mature Virgo native; otherwise they will have many conflicts. Having a relationship with a Virgo will make Gemini realize that he puts on stake long term projects and his future, in what the house and substantial possessions are concerned. When you are playing with a Virgo, finders' keepers, so make sure you know the rules before you start. Gemini and Virgo are both attracted by circumstances, common interests which affect their security. 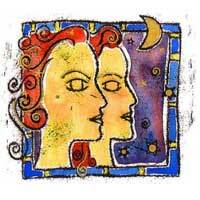 Gemini natives have a lot to learn from such a relationship, but Mercury's duplicity is in charge. While Virgo criticizes, Gemini wants more action. Generally speaking both signs have things in common; even so, the insignificant arguments however, cannot be neglected.